Supplement Your Six-Pack This Summer With These Fat-Burning Principles. The summer daylight is enough to get many off their ever-evolving butts to get into shape. Here a few suggestions I have on fat burners, protein, cardio, training and more for successful fat loss! As people crawl out from their remote controls, Play Stations, and pubs—or whatever hibernation tactic they used over the winter months—the summer daylight is enough to create a sense of urgency to get off their ever-evolving butts and get into shape... fast. As we get older though, that time frame to get in shape gets smaller while our waistlines expand. By shifting a few beliefs and introducing some others, we can pave a road directly to your destiny instead of meandering around it. "Everyone wanting to lose fat can benefit from a reputable fat burning supplement." The first piece of ammunition I would like to load into your artillery against those stubborn fat cells is supplementation. As time progresses, so does scientific research into supplementation, which gives us optimum resources toward and our goals. You only need to look at many of the trim, cut, and toned physiques of today in comparison to as little as 10 years ago for confirmation. A sluggish metabolism can be pumped back to life, and healthy metabolism can burst into overdrive with the help of a thermogenic fat burner. In short, everyone wanting to lose fat can benefit from a reputable fat-burning supplement. Using one of these supplements can give you the energy to carry you through the workout many of us feel too tired to think about when on a calorie-restricted diet. Most contain different dosages of various ingredients, so I would highly recommend that you follow the directions on the bottle for healthy and optimum results. 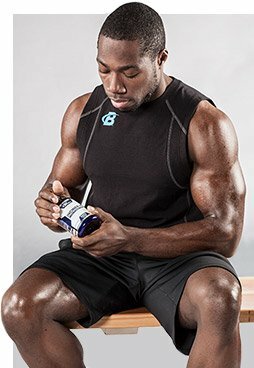 Bodybuilding.com only works with reputable companies. In a world that has fewer hours as each heavily burdened year passes, it is more difficult to squeeze in frequent meals to feed a slowing metabolism. Every time we consume food, our body&apos;s core temperature rises and then the metabolism kicks in to digest food and provide energy. If meals are kept regular enough (around six times per day) at a smaller portion size than what is normally stacked within a two-to-three meal portion, your body&apos;s appearance will thank you for it. The stomach will handle this frequency, but sometimes a working person&apos;s time frame doesn&apos;t, and this is where the convenience of protein supplements comes in. In this day and age, most protein shakes don&apos;t require a blender to mix a protein drink. They just require is a few shakes in a bottle and—viola—a meal is made. You can even purchase RTDs (Ready To Drink) shakes in handy cans or cardboard containers. If you find that eating three meals is filling your quota beyond your means, adding three protein supplements will make the job that much more easy. When commencing cardiovascular exercise such as walking and cycling, or using exercise equipment such as rowers, steppers, and elliptical trainers, you should go at such a rate that you are pushing yourself hard while building up a sweat. But don&apos;t push yourself so you are out of breath. Train at an intensity that ylets you talk to somebody without too much trouble. This is called "aerobic" exercise and is purely burning body fat. When you perform aerobic exercise, the bloodstream carries a high volume of oxygen to help transport fat through the body. "When you perform aerobic exercise, the bloodstream carries a high volume of oxygen to help transport fat through the body." When you are training at a more intense level, such as running and intense weight training, this is what is called "anaerobic" exercise, meaning that oxygen is not being utilized through the bloodstream, and is therefore not the most ideal scenario for fat burning. This is because the oxygen you are absorbing is going to involuntary muscles such as heart and lungs. The duration of your cardiovascular exercise should not exceed 20 minutes at the beginning of your program. Add to this if your weight loss plateaus at the end of each week. It gets it out of the way for the day. If something arises throughout the course of the day, cardio has already been completed, so there can be no excuses. Set your alarm clock an hour earlier than normal. Don&apos;t hit that snooze button; just get straight up, have your clothes set out to jump into, eat, and walk. It also gets your blood flowing for the day and you&apos;ll feel so much better for it. Kick-starting your metabolism is actually the main reason why you should perform cardio exercise first thing in the morning. Because food acts like a thermogenic and in turn will raise your body&apos;s core temperature, the earlier you eat upon rising, the faster your metabolism will speed up to digest breakfast, thus kick-starting your body&apos;s fat-burning properties for the entire day. The first cardiovascular session of the day will be more efficient and productive because the body&apos;s fat-assimilating properties work much faster when your body is under the influence of a thermogenic. The mainstay advice in many diets has been to advise dieters to perform exercise on an empty stomach. What many of these experts failed to point out was that the body is hugely catabolic after an eight-hour sleeping fast, and its metabolism is at its slowest point, further preventing fat loss. The duration of a resistance workout (weight training) should not exceed one hour. It should be kept intense by keeping rest intervals between sets to around 45 seconds unless your body fat is over 30%, in which case I would recommend no rest intervals and to treat your workout as a circuit with lighter resistance and a higher repetitions range of around 20-25. With this in mind, it would be a good idea to get your body fat checked by a health professional. 220 minus your age = Your maximum heart rate, then multiply that by 75%. This is the level of intensity this individual would have to work at. Most cardiovascular machines have built-in hand-held rate monitors, or you can buy one at a reasonable price at Bodybuilding.com. I would like to leave you with one last suggestion. Write your favorite motivational quotes out on separate pieces of paper, and stick them on different places in your home, car, and workplace. Doing this will help you stay more motivated, and purposely put pressure on you not to give up. Good luck!! You can&apos;t quantify inspiration in reps and sets. It&apos;s an image, a feeling, and a story. Just ask IFBB pro Frank &apos;&apos;Wrath&apos;&apos; McGrath, who came back from a near-fatal car crash looking bigger and better than ever! Body Transformation: Kobe Motmans Became A Muscle Monster! Kobe noticed the attention ripped guys get and wanted to join the confidence club. 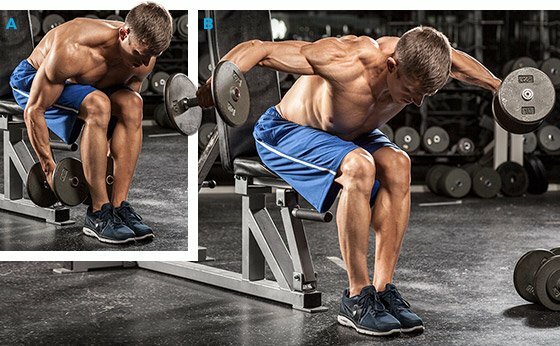 Use his training and nutrition plans to go from scrawny to brawny!